THANKS FOR YOUR SUPPORT OF THE RADIO MINISTRY OF KGNZ! 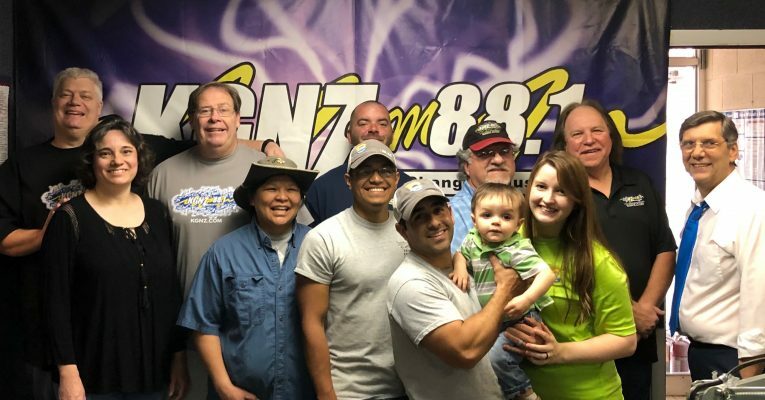 THANKS TO OUR FRIENDS WITH CENTRAL COMFORT HEATING AND COOLING FOR INSTALLING A BRAND NEW AIR CONDITIONING SYSTEM TO HELP KEEP THE KGNZ STUDIOS COOL AS WE PREPARE FOR THE UPCOMING HOT SUMMER HEAT! THANKS AGAIN TO RYAN GUERRERO, BOB GANN WITH ALL TEMP SERVICES AND SOLAR SUPPLY FOR HELPING SUPPLY THE EQUIPMENT AT COST TO HELP BLESS THE RADIO MINISTRY OF KGNZ!